The expected price of Nokia 9 in Pakistan is Rs. 75,000. The price was updated on 16th August, 2017. Note: The image is not real as the phone is not announced yet. Nokia is entering back into the smartphone market with the launch of amazing phones. Nokia hit back the smartphone market with the mid-range phones including the Nokia 3, Nokia 5 and Nokia 6. Nokia 9 is the upcoming device from the company and is expected to feature flagship level specifications and a big screen. Nokia 9 is a super premium device. It feels excellent in hands. However, the Nokia 8 copper color is a bit weird. It looks very strange and we have no idea why Nokia adapted this color. The phone also comes in black, Mat blue and steel colors. The steel color is again, very different from the traditional phones. The phone is said to come with a 5.5 inches display which might be a smaller screen for most of the users as the Galaxy S8 comes with 5.8 inches display and it is the standard now. But the screen size will be comfortable for some users as it is easy to hold and use. However, the screen is much sharper with its quad HD resolution and it is really bright. Nokia 9 is expected to come with a Dual 13 MP (13 MP (Colour + OIS) + 13 MP (Mono)) camera. The camera has the Carl Zeiss optics and produces amazing photos in any light conditions. The Nokia 8 camera has a unique “Dual-Sight” mode. It lets you use both the front and back camera at a time to capture split-screen photos and video. Isn’t it amazing? I think it is the first phone to come with such a feature. Moreover, this phone features the Nokia OZO spatial 360° audio which, the company claims, is the tech used by Hollywood filmmakers and music producers. The front has a wide angle 13MP camera. The front camera also features the phase detection autofocus which makes your selfies look amazingly good. The front camera also has the carl zeiss optics. As the Nokia 9 is the flagship device, it comes with the latest Snapdragon 835 chipset with Octa-core (4×2.45 GHz Kryo & 4×1.9 GHz Kryo) CPU to give it all the power. The device comes with 4 GB and 6 GB of RAM with 64 or 128 GB of internal storage. The phone does not lag even on heavy multitasking and it gives you the absolute best performance in all the games available on Google Play Store. The battery is 3090mAh which might be a little less considering that it is a flagship phone but we’ll have to see how Nokia manages the software and how many hours does a single charge of battery give. - The latest price of Nokia 9 was obtained on . 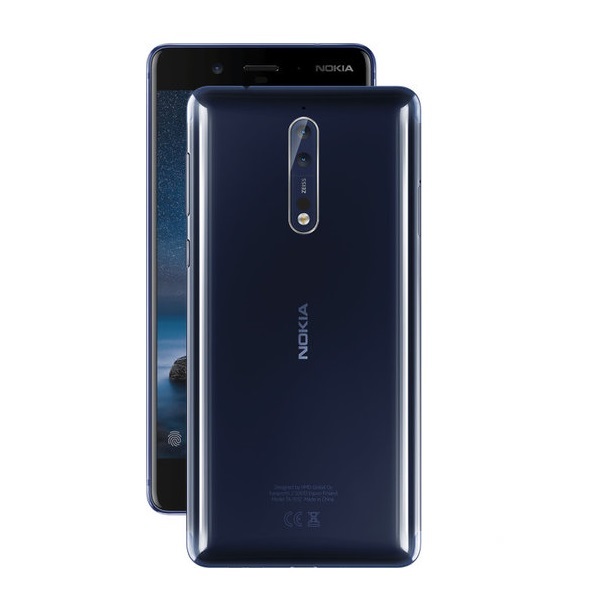 - Buy Nokia 9 online in Pakistan for the lowest price. There are different payment options for online buying. You can also avail the options of Cash on Delivery (COD) and Online Credit Card Payment on purchase of this product.